Industry Leader. 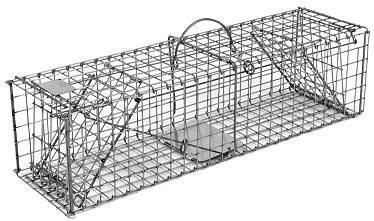 Regarded as the strongest, most reliable, and most durable traps available. Made in the USA. Manufactured in the USA at our facility in Hazelhurst, Wisconsin. Quality assured. 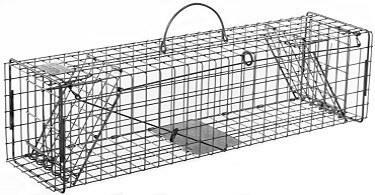 Each trap is quality inspected and tested before it is shipped to you, our valued customer. Built to last. Constructed with sturdy steel wire mesh frames and steel reinforcing rods welded to the frames for added strength. Withstands the elements. Trap wire is galvanized for maximum resistance to rust and corrosion. Spring loaded trap doors. Spring loaded trap doors quickly snap into place preventing animals from backing out when the trap sets. Locking trap doors. Locking trap doors prevent animals from escaping, even if the trap is turned over or flipped completely upside down. Strategic mesh patterns. 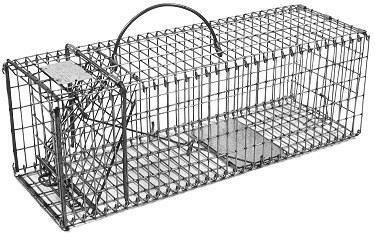 Tighter wire mesh pattern around bait areas prevent animals from reaching into the trap and steeling bait from the outside. Adjustable trigger. Easy adjusting trigger system allows for light or heavy trap sets. Large hand protectors. Hand guards under trap handles on most models protect handlers against animal scratches. Great selection. 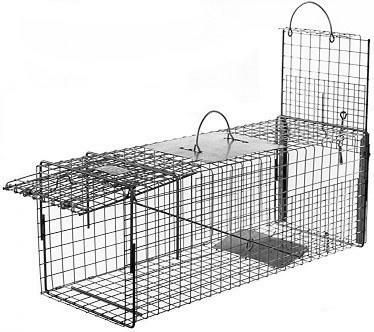 A wide variety of trap sizes in several categories to choose from. Catch small rodents on up to large dogs.